The Beyond Down™ pillow is sold to the finest hotels in the United States. Cushions the head and neck at a restful angle. 300-thread count windowpane pattern cover. 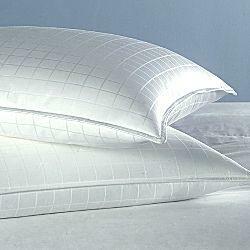 Emulates European white goose down without the allergies associated with natural down. White woven cotton cover with cording. Made in USA of imported materials. Hypoallergenic and washable. 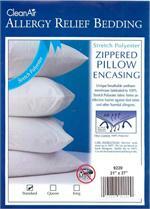 Not bed bug proof without PillowSafe cover. We bought a few of these pillows a few years ago and they are STILL my favorite. My oldest claimed one of them so I really need to buy a few more. Best pillows we've ever purchased and THAT says something. We used to pay over $100 for a pillow. Why bother?! These are GREAT! Also the pillow that Disney's Old Key West uses. Even if you dont like fluffy pillows (like me), you will love these, so comfortable. Best pillows! Feels just like a fluffy down pillow. Bought my first set (called Beyond Nature) years ago from JCP. My family wont sleep with anything else! From the Disney resorts. Best Best pillows. I love these pillows. They are the exact same pillow that Disney World Resort uses. The only difference is Disney World resort pillow's were Beyond Nature RN:# 85260 on the tag. The Beyond Down has the same exact RN# 85260 on the tag so they are the same. Best investment. Get ready to have a good night sleep.